The storage runs across the walls, opening up the communal space. 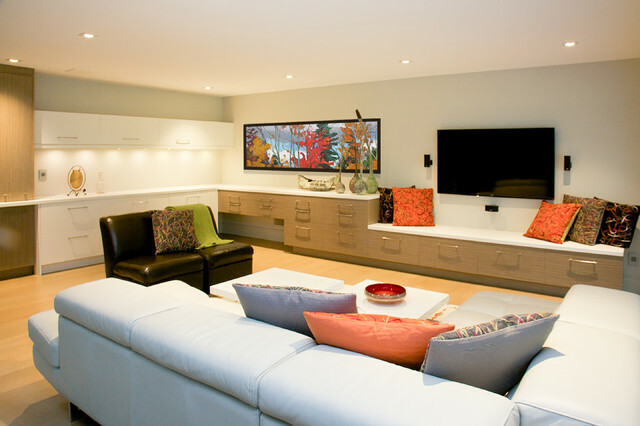 Under the TV, lower cabinets act as a multifunctional piece, merging storage and seating. Moving across, the wooden storage units transform into a white hidden bar for the leisure and entertainment of potential guests.